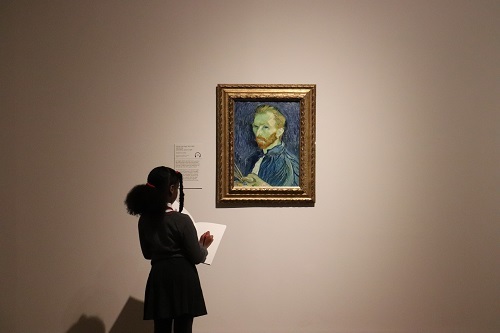 Tate Britain presents a major exhibition about Vincent van Gogh (1853-1890). 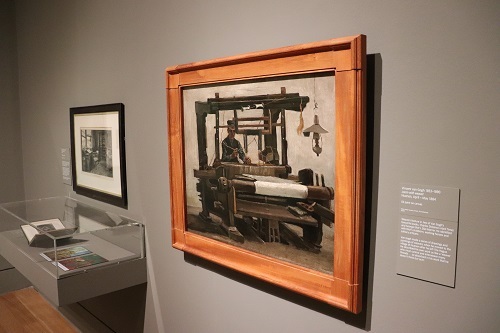 The exhibition entitled Van Gogh and Britain explores Van Gogh’s relationship with British art, literature and culture and how Van Gogh’s work inspired British artists like Walter Sickert, Frank Brangwyn, Matthew Smith, Jacob Epstein, David Bomberg and Francis Bacon. 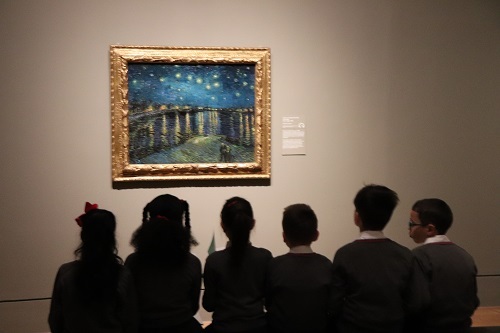 The exhibition includes over 45 works by the artist from public and private collections around the world which is the largest group of Van Gogh paintings shown in the UK for nearly a decade. Van Gogh and Britain is the first exhibition of the artist’s work at Tate in over 70 years, when a blockbuster show in 1947 attracted record-breaking crowds. The exhibition was a phenomenon in London and went on to tour to Birmingham and Glasgow. 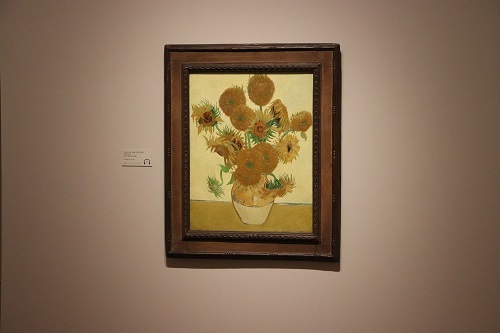 Some of the highlights include Self-Portrait 1889, L’Arlésienne 1890, Starry Night on the Rhône 1888, Shoes 1886 and the rarely loaned Sunflowers 1888 from the National Gallery in London. 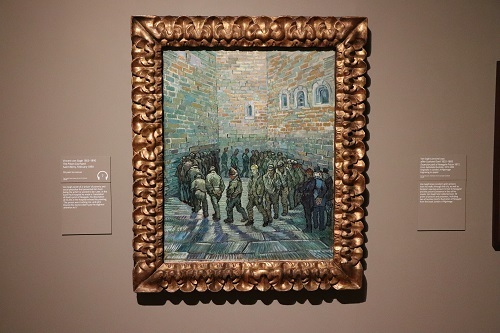 The exhibition also features late works including two painted by Van Gogh in the Saint-Paul asylum, At Eternity’s Gate 1890 and Prisoners Exercising 1890. 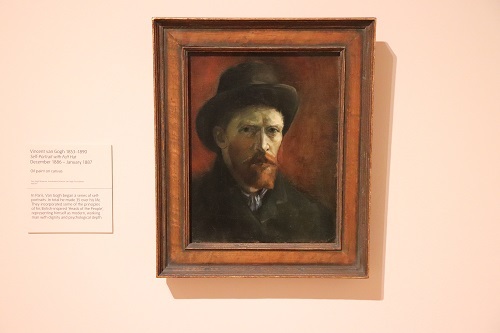 Van Gogh spent time in London between 1873 and 1876 and explored British culture during his stay. He admired works by John Constable and John Everett Millais and enjoyed British writers like William Shakespeare, Christina Rossetti and especially Charles Dickens. Despite this influence, his only image of London is the remarkable Prisoners Exercising, from Gustave Doré’s print of Newgate Prison. The period in London was to influence Van Gogh in other way, his unrequited love for this landlady’s daughter led to change of character from relatively carefree to someone obsessed with religion. 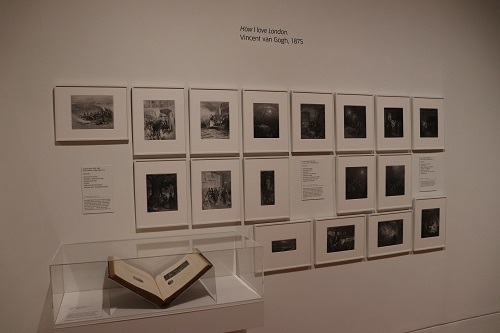 Dore’s work and Dickens played a major role in his development as an artist especially regarding subject matter. He wrote that ‘My whole life is aimed at making the things from everyday life that Dickens describes and these artists draw’. The self portraits created during the 1880s show a man driven to capture the world around him with landscapes like Wheatfield Arles 1888, Autumn Landscape at Dusk Nuenen 1885, Avenue of Poplars in Autumn Nuenen 1884 and Olive Trees, St Remy 1889. He also began to paint workers including Miners in the Snow Cuesmes 1880 and Loom with Weaver Nuenen 1884. The Sorrowing old man 1890 gives some indication of the time when Van Gogh is descending into mental illness and ultimately his suicide. 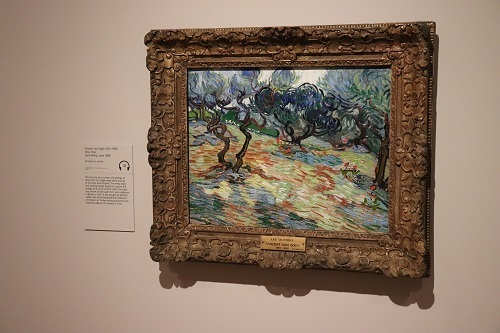 Although Van Gogh died in relative obscurity, the Van Gogh exhibition of 1947 began to illustrate that people and artists attitudes were changing. The art works brightened up post war Britain when people were looking for a new beginning after the tragedy of the war. 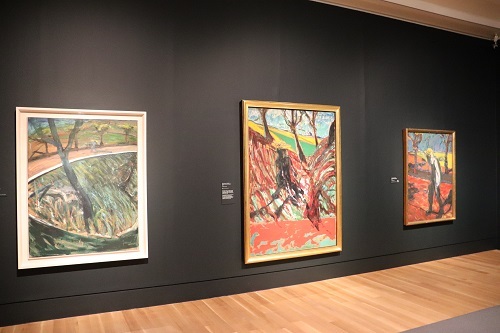 Modern British artists like Matthew Smith, Christopher Wood and David Bomberg saw new possibilities with their art and Francis Bacon saw himself like Van Gogh, the embattled, misunderstood artist, an art outsider. This fascinating exhibition is a reminder of the often cruel twist of fate that befall artists. Van Gogh commits suicide because of his lack of success and recognition. Over 100 years later, Van Gogh is one of the most famous artists in the world and his paintings sell for millions. This exhibition provides the opportunity to understand the role that Britain played in that transformation. The influence of Dore and Dickens were considerable but it is the remarkable intensity and dynamism of some of the paintings that generally appeal to a modern audience. 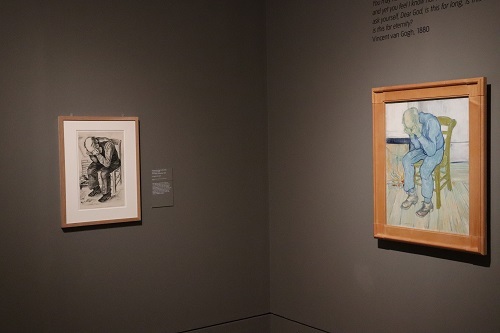 The exhibition of 1947 was a turning point for the appreciation of Van Gogh in the UK, this exhibition confirms his status as one of the great artists. By londonvisitors2014 in Exhibitions on March 25, 2019 .